This last weekend, I had the absolute pleasure of being invited to the Wildlife Waystation. The Waystation is a 160-acre private animal sanctuary located in the Angeles National Forest just north of Los Angeles, California. They're home to over 400 wild and exotic animals comprising over 100 different species. It's an amazing place. A friend and colleague of mine has been working with the Waystation for years, taking his classes to draw the animals and to help with raising money for the facility. I was lucky enough to be invited along on one of the summer trips outside of his usual class group with a list of incredible artists. There are no photos allowed by visitors of the Waystation so I can only show you the drawings I was able to capture during my time there. These were all sketched with a Blackwing pencil on Strathmore sketch paper. Some of these drawings will be given to the Waystation for them to sell in their Visitor Center. Proceeds will go to help the animals of the park and maintain the facility. 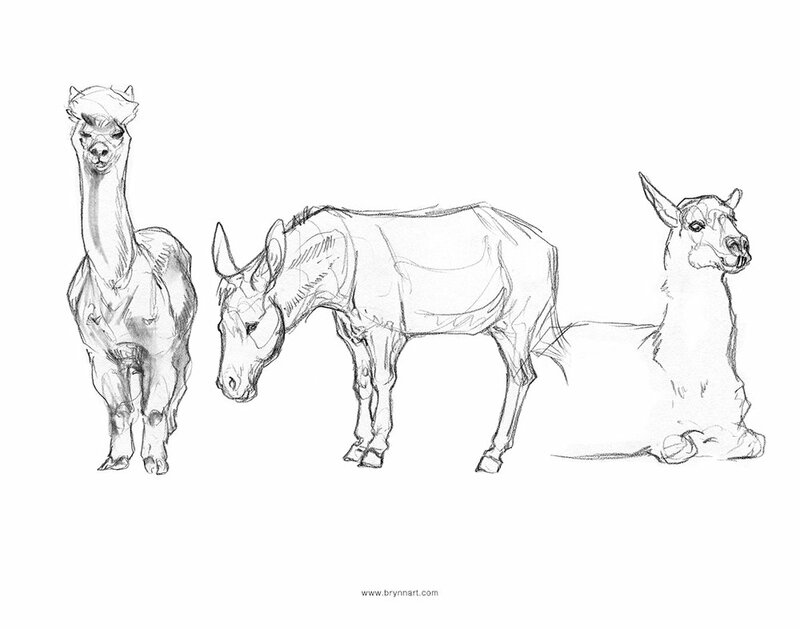 Animal drawing is extremely important in creature design. Learning animal anatomy should always be paramount but viewing and seeing how animals move and behave in person can give you a unique and informed perspective when designing your creatures. When drawing from life, aim to visit animals that are used to having visitors or humans close by. Support facilities with good practices and conservation missions.